Rent a mixer from Avista to complement your own speaker setup. We also carry full Sound System Rentals if you need speakers as well. 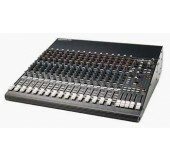 We have audio mixers for simple to complex meetings & events. Even a novice can take control of their event with our simplest units, and we'll show you everything you need to know. If your a professional audio person looking for the latest digital mixing boards, we carry a line of Allen & Heath products as well, just give us a call. 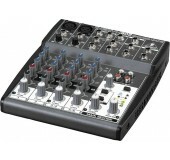 A "mini" mixer great for small events or meetings requiring one or two microphones & an ipod/CD player input. 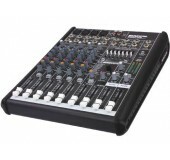 A simple mixer great for small events or meetings requiring up to four microphones & additional iPod/CD inputs. 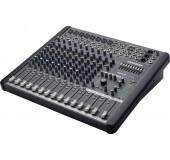 A must have live performance mixer with 16 on-board effects and 7 Band EQ. 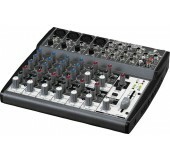 Includes 4 XLR mic & 3 stereo line inputs. 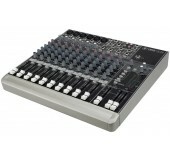 This Mackie offers superb built-in effects to tackle any live performance. Incl. 8 mic/line mono & 2 stereo line channels. 6 XLR mic inputs & 4 stereo line inputs ideal for everything for the meeting room, recording studio and stage.